If idle hands are the devil’s playthings, then idling engines must be the devil’s mode of transportation. And no one is saying you can’t have a devilishly good time driving your Ford, we’re just suggesting that there is a better, more environmentally conscious way for your Ford to run. Enter Auto Start-Stop technology, another key feature from the eggheads at the Ford lab (is there anything they can’t do?). Read on to find out more about this simple and effective feature that helps save the environment, and saves you gas money. Auto Start-Stop technology is exactly what it sounds like; when you apply your brake and come to a complete stop, the engine will shut off, and when you take your foot off of the brake the engine will start again. Simple, right? Well, for you as a driver it is. But there was no small amount of engineering involved to make a stronger, more heavy duty battery and starter to handle the load of the extra starts, not to mention strengthening other parts of the engine to handle the extra wear and tear. Luckily, Ford’s engineers are some of the best in the business, and they were able to come up with rigorously tested solutions for all of these issues, ensuring that the Auto Start-Stop feature on Ford would work flawlessly and for the lifetime of your vehicle. Available on all Ford’s with the EcoBoost engine, the Auto Start-Stop feature has been designed to not impact your vehicle’s performance whatsoever. All normal functions remain, while the engine turns off — so that means your radio, AC, heat, whatever you have working, continues working. There are a few instances when the Auto Start-Stop turns itself off, like when the engine is still warming up, or if the outside temperature is too extreme, as well as when the vehicle is towing. You can also switch the Auto Start-Stop feature off, but why you’d want to is beyond me. If you’re thinking to yourself, “I don’t need this stupid technology. I know how to turn my own car on and off.” I’m sure you do smart guy, but riddle me this. Did you know that if every new vehicle in the United States came equipped with Auto Start-Stop technology, that over 3 million tonnes of carbon dioxide wouldn’t be released into the environment? I bet you didn’t. What about 315 million fewer tonnes of gasoline being burnt? I mean, if you don’t care about the environment that’s cool — but I think we can all agree that saving a bit of cash from filling up less frequently is a win-win situation. Ford’s Auto Start-Stop technology is great — full stop. It saves you on fuel cost, and it saves the environment. Easily controlled and monitored in your instrument cluster, Auto Start-Stop asks nothing from you and gives so much in return.  So embrace yet another game-changer from Ford, and come by Team Ford to find out more about Auto Start-Stop technology. It’ll really get you going (after it stops of course).